Ben Simmons has one of the rarer skillsets that the NBA has ever seen. It rivals that of Los Angeles Lakers legend Magic Johnson, so it would make sense that the Philadelphia 76ers forward wants to learn from Johnson. Prior to Sunday’s game between the Lakers and Sixers, Johnson revealed that Simmons wants to be mentored by him in the offseason and Johnson would be willing to share his knowledge if the league signs off on it. On Monday, Brand further clarified the situation in a comment to ESPN’s Adrian Wojnarowski. In yet another twist, however, the Lakers sent out a statement saying that it was the Sixers who approached them about Simmons speaking with Johnson. Simmons, it should be noted, is represented by Klutch Sports, the agency run by Rich Paul. If that sounds familiar, it’s because Paul is LeBron James‘ longtime friend and business partner, and also represents not only LeBron, but Anthony Davis. 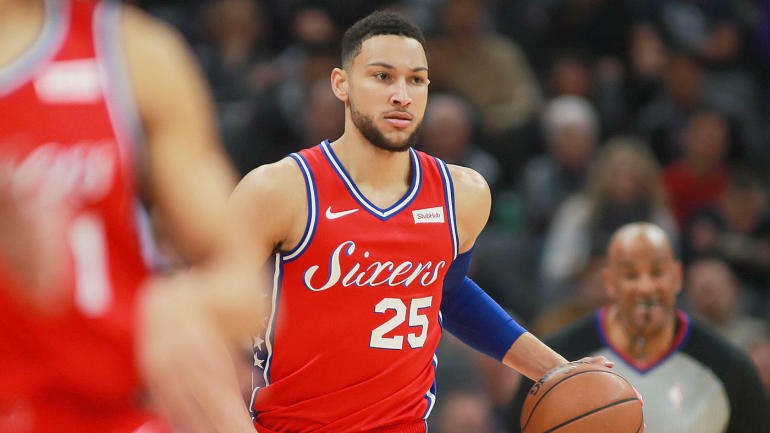 That led to a very awkward few weeks ahead of the trade deadline, and the league looks to be trying to put a stop to any shenanigans surrounding Simmons before they begin. Johnson and Simmons have similar playing styles as both filled the point-forward role that is very rare. Simmons stands at 6-foot-10 while Johnson stands at 6-9, so their build is also similar, which is certainly one of the reasons that the Sixers forward might want to get together. Despite not having a consistent jump shot, which he will continue to work on when the Sixers take the floor next against the Celtics on Tuesday night (8 p.m. ET — Watch on FuboTV with the NBA League Pass add-on), Simmons has already blossomed into one of the more talented young players in the NBA. Earlier this month, Simmons was selected as an Eastern Conference reserve and will be suiting up for Team LeBron in this month’s All-Star Game in Charlotte. This certainly will be an interesting situation to watch because there could be a tampering layer to this if Johnson doesn’t get league approval before meeting with Simmons. However, it definitely looks like Johnson is taking all the necessary precautions for such a meeting.